Advances in Environmental Research. Volume 63 opens with a study on carbonate crushed stone of the Saltykovskoye field in the Republic of Tatarstan, Russia, which is characterized by high water uptake. An impregnation process involving a solvent in its supercritical state is used for impregnating the crushed stone. Two petroleum products are considered as an impregnating material. The first one is a petroleum product recovered from oil sludges in the course of their disposition, whereas the second one is a petroleum product extracted from a heavy residue formed in the process of steam thermal treatment of a high viscosity index oil. Phase equilibrium characteristics of a propane/butane mixture that was used as a solvent in the extraction and impregnation processes are presented together with results of an investigation of some of the thermodynamic properties of materials involved in the processes. Following this, the authors describe the first demonstration of a logical framework developed by the US Environmental Protection Agency to integrate the best available data, methods and models to estimate risks to wildlife populations from multiple stressors. This approach responds to the need for greater realism and ecological significance in the estimation of the effects on wildlife of human-mediated stressors. Specifically, this approach provides a mechanism to quantitatively link responses to increasing levels of specific single or combinations of multiple stressors to adverse outcomes on populations. A review is also included which summarizes the current information on the contribution of heavy metals as a result of pollution to the development of oxidative stress in fish. Metals are considered significant t toxic pollutants and there is extensive literature about their accumulation in aquatic ecosystems. Increased levels of reactive oxygen species lead to oxidative damage including lipid peroxidation, protein and DNA oxidation, and enzyme inactivation. The components of antioxidant defense are used as a biochemical markers of oxidative stress. This knowledge extends to fish because of their sensitivity to oxidative pollutants, their filtration capacity, and their potential for environmental toxicology studies. 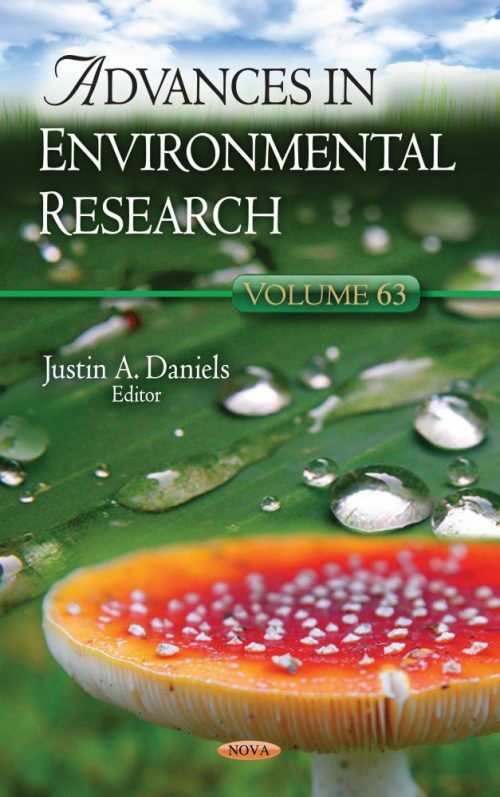 In the following chapter, the authors examine the role of Technology Transfer and the Clean Development Mechanism in the mitigation of climate change from a legal point of view and policy perspective. Both Technology Transfer and the Clean Development Mechanism have human rights implications; therefore, this paper analyses the current state-of-the-art with regard to Technology Transfer and the Clean Development Mechanism in their interplay with human rights standards, as based on relevant provisions of the Kyoto Protocol and of the EU legislation. A general increase in warm extremes and a decrease in cold extremes were found on a global and regional scale during the last several decades, although warming has not been uniform, either spatially or temporally. Many definitions quantifying the duration and/or intensity of the daytime maxima could be applied to heat waves. In one study, heat waves were defined through the concept of exceeding a given threshold thus allowing the analyzes of the heat wave duration and frequency. The main characteristics of the heat waves and the circulation conditions which caused the heat waves in Serbia were analyzed. It was found that the number of heat waves rapidly increased during the last three decades. In the subsequent paper, the authors focus on the quantification of sustainability connected with the use of various types of concrete with regard to their resistance to degradation. Efficient sustainability management of concrete structures requires the use of tools which allow material, technological and construction variants to be quantified, measured or compared. These tools can be used as a powerful marketing aid and as support for the transition to a “circular economy”. The goal is to propose a suitable methodology which can simplify decision-making regarding the design and choice of concrete mixes from a wider perspective, i.e. not only with regard to load-bearing capacity or durability. Lastly, this book suggests that since the spatial occurrence of differently sized craters provides information for the relative age estimation of various planetary surfaces, in analysing the size frequency distribution of impact craters, the formation and resurfacing episodes could be estimated using statistical analysis. With a rough approach, the scale and type of eroding processes may also be estimated. Using lunar samples based radiometric ages, the relative crater density could be translated to absolute ages for the Moon. Ising model approaches, such absolute ages could be extrapolated for Mars and other bodies in the Solar System, with certain error levels.